The need for interpreters is at an all time high.. The need for interpreters is at an all time high and medical interpreting is becoming more popular now than ever before. Non english speakers face many issues when it comes to not being able to communicate effectively with their healthcare providers. There have been countless studies that reveal how language barriers between patient and healthcare providers can lead to misdiagnoses and the administering of inappropriate treatment. Unfortunately, problems associated with improper communication between healthcare providers and their patients worsen when the patient is a minor/child and parents are unable to communicate effectively. This results in longer, and perhaps unnecesary hospital stays, and of course, misdiagnoses. Essentialy, what we’re driving at, is that medical and pediatric interpreters means shorter hospital stays. Studies have proven that if a parent and patient are unable to communicate effectively they will undoubtedly have a very dificult time navigating through a complicated healthcare system. This, of course, results in longer hospitals stays, approximately 60% longer, than those whose parents were able to communicate effectively in english. Another advantage of having a medical interpreter available is to cut down on the exhorbitant hospital care costs which usually averages around $2000-$3000 per day! Minor Patients Should Have the Right to Quality Medical Interpreters. 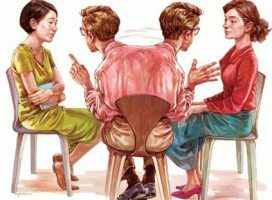 Alot of the times family members are given the responsibility to do on the spot interpreting for their child, and vice versa, which can be a daunting task for the family and also places children in what could be a psychologically disturbing situation. This could also lead to severe repercussions in the future. For these reasons, it is imperative that hospitals provide professional medical interpreting for all of their patients. Interpreters should ideally be trained and/or specialized in pediatric interpreting which requires that they speak more slowly, clearly and not use clinical terms, or large words. The interpreters should understand that their mission is to communicate and therefore aim to connect new information with what the child already knows. Being able to accomplish this allows the child to feel comfortable while building trust and openess to express their experiences, feelings and thoughts to their doctors. The outcome is usually quite positive and makes a possitive impact with the overall healthcare experience and outcome. A trip to the hospital or emergency room can make anyone who doesn’t speak english quite uncomfortable and unwelcomed. Providing medical interpreters on demand upon a patients arrival helps patients feel more comfortable in what could seem like a cold and unfamiliar environment. Children usually heal much quicker if they feel their parents are comfortable and in control with the reassurance of a pediatric interpreter, as well. Medical interpreters serve to bridge the gap between hospitals and home by providing their patients with home care visits and support throughout the medical treatment process. 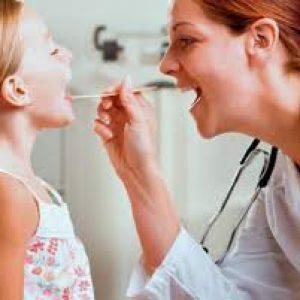 This helps greatly in ensuring that the patient, especially the minor (child), follows their treatment adequately as prescribed by their doctors, as well as, educate the family on how to properly care for the patient in the future. The importance of having a medical or pediatric interpreter available in hopsitals is paramount to the overall healthcare experience for the patient resulting in shorter hospital stays, less money spent on healthcare, thorough understanding of medical treatment and patient satisfaction. If you would like information on Spanish Solution’s products and services, as well as, having us host your upcoming conference, please contact us.